IWB is a Swiss company in the energy and water supply and telecommunication sectors. 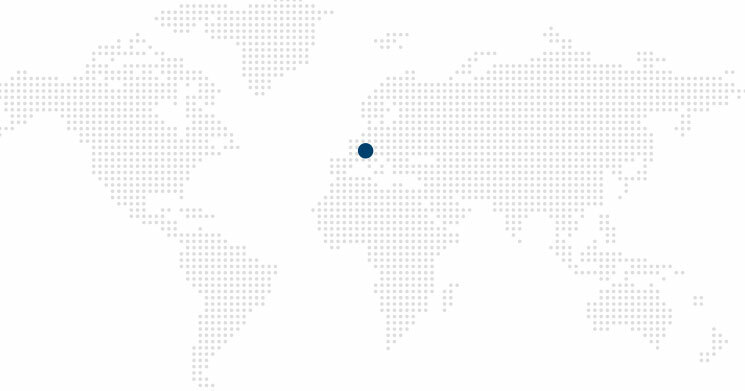 It supplies and networks its customers in the Basel region. IWB is a leading service provider for renewable energy and energy efficiency. IWB is pursuing in the longer term entirely renewable energy supply and hence the efficient, environmentally friendly and economic handling of energy. As an EPC contractor and our direct customer Caliqua AG, a leading provider of thermal plant for municipal service providers and industry, was the broker in this case. 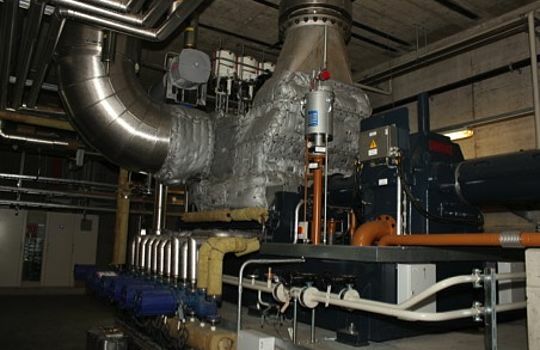 In KVA Basel, the existing city waste-fuelled power station, power and district heating is fed into the complex city network and in addition process steam is generated for industrial consumers. Unused excess steam on the low pressure rail of four bar should be converted via a new steam turbine and the overall efficiency of the plant thereby increased. District heating should be generated in a new heat condenser using the exhaust steam from the turbine. Our scope of supply consisted of the turbine-generator set with the turbine control cabinet and the generator power switch. It was possible for us to more than double the power with the final plant to 2.8 MW. This process optimisation was due, for example to a bypass line for the overload which removes the peaks in the steam feed in the first stage of the turbine. Besides the nozzle group control valve (DGRV) in the steam inlet we have designed a partial shut-off after the second stage for better partial load behaviour. If one assumed in the original planning a turbine capacity of around 1.8 MW at the peak, it was possible with optimised integration of the turbine into the process to increase the capacity to 2.8 MW and even at partial load to considerably improve the turbine capacity. The biggest challenge with this project was a spatial one. The plant had to be installed 30 metres below floor level. The associated access shaft was likewise severely spatially restricted. Precision was needed here. This of course already meant in the design phase adapting the construction and the volume of the turbine to the situation while maintaining consistency. Our project manager Malte Beckmann had his eye on all components during this period. The guiding principle for us with our Swiss customer: the turbine must run like clockwork! The turbine has been running to the satisfaction of our customer since commissioning in September 2013. You will find a link to the corresponding press release here.